Something Borrowed took Counterpart on to further new heights in the first of these two episodes as its engrossing story continued. Howard Alpha's situation is going from bad to worse inside Echo prison as he meets with a group of inmates who think that he's Howard Prime. Alpha at this point is still naive enough not to fight back, and it's going to be fascinating to explore what the tipping point for him will be that will transform him into Howard Prime, if he'll reach it at all. It'll no doubt be an interesting one to see especially given the reveals that we also came face to face with in this chapter. Namely, Peter Quayle Prime was introduced, which is something that I've been looking forward to seeing for a while now. I loved how this was handled and it was exciting to watch him meet Howard Alpha. Like Peter Alpha, Peter Prime believes he's important and is once again, wrong in this regard, listening to anything that will label him as one of the most important people in the prison when asked by Howard Alpha why he's in the prison with him. One thing that I do like about this season is that the writers haven't reset the status quo within the premiere, and it's going to be a long hard road before Howard Alpha is going to be able to get back to his own world. Peter is able to act as Howard Alpha's way into the world though and he gets an insight into Yanek through Peter. Yanek is the information-gainer, and he has to keep up this pretence of being a decent human being to get on their good side, which is an interesting experiment and probably more likely to get a response out of the characters than repeatedly subjecting them to harsh interrogation. Baldwin meanwhile was one of my favourite characters of Season 1 and it was fantastic to see her back in action here after being left out of the first two episodes. Baldwin bargains her freedom in exchange for killing Lambert when she is captured by Howard Prime's allies in Section Two, and it's a move that suits most parties. Howard Prime is also forced into an uneasy alliance with the Quayles - both Clare and Peter Alpha, as even though they don't get on well with one another they both have a common enemy. Emily Alpha too was in trouble this week when she came face to face with Naya Temple, the former FBI Agent who we were introduced to as the woman brought in to deal with moles. Her new information about the identity of Shadow that she gains from Emily Alpha will be a welcome one, especially as she's not clued into the plan about it being Aldrich. If Naya learns something that will put her suspicions elsewhere, then it could give the Quayles something to worry about. And it's not just Naya that's causing Clare worry - both Peter and Lambert are at her throat and don't trust her. With most of this episode being focused on setting the stage on what is to come, it effectively moved the pieces around the board nicely, ramping up the tension and forcing Howard Prime into an uneasy alliance, whilst Howard Alpha had to adapt to his new, mostly inhospitable situation. Point of Departure upped the ante in this episode. Howard Alpha may still be stuck in prison with Peter Prime, but he's learning the ropes. Howard does enough to get into Yanek's good books so he can get a razor for shaving, but it quickly becomes apparent that there are few clean-shaven people in the prison and fewer still who are willing to talk to him. Yanek's job is to find out what is the point of departure between Howard and his over, and he instantly wants to know if his other would have fought back. But Yanek looks further back than this too, where we learnt more about Howard's father and his role as an alcoholic. Howard Alpha stuck with him, showing empathy, but just like with every other situation Howard Prime has found himself in, he bailed. Yanek argued that Howard Prime might have actually taken the better approach than Howard Alpha, who believed in a chance of redemption. This whole episode reminded me a lot of the choose-your-own adventure style games like Detroit: Become Human where you get to see what other options different people picked when presented with a choice, and it's that idea that makes Counterpart so fascinating when it explores others learning what their counterparts would have done differently. The introduction of more alternate versions of characters that we know, most significantly Peter Prime, shows just how different certain choices can affect different characters. And Howard Alpha is no stranger to this, having watched his other come in and take his place. Yet at the same time no matter how different characters can be, Howard Alpha is still rejected by Marcel who he tries to befriend in Echo's food hall. At least for now, there's still no easy way through, even if Marcel Prime is apparently eager to learn about his family in Earth Alpha. 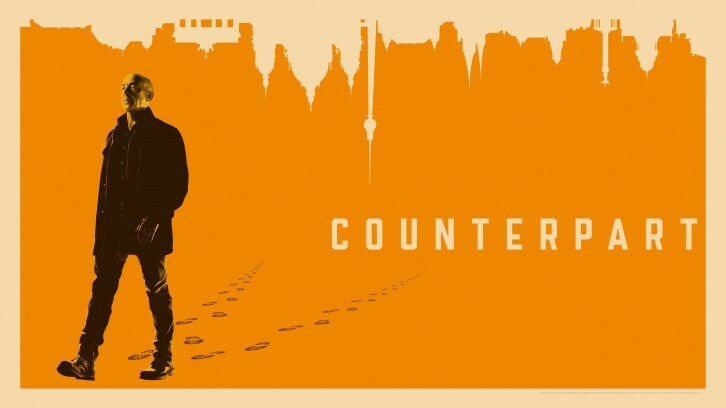 Counterpart seems to be leaning into the espionage playbook heavily this season making the comparisons to John Le Carre and The Americans that I brought up when I reviewed the show's pilot all the more accurate. A significant portion of this episode was spent on Emily Alpha including focusing on her relationship with her mother, where she learnt that it was better to only tell part of a lie. If you go too outlandish people will have a hard trouble believing you, but if you adapt the facts to work around what you're already good at you're less likely to be caught out. It's worked for Emily Alpha up to this point before her memory loss. Much of Emily's actions this week was a way for her to get in touch with Lambert, and through that, she was able to get information to Naya that upped her internal investigation. With the dominoes falling into place things aren't looking too great for Peter Alpha, who could well end up in the same situation as his counterpart. One thing that I'm curious about is the direction that Naya's Prime character took, and will we see more of her on Earth Prime? Whenever we don't see another version of a character that we already know we always have to keep in mind that possibility that there could be something in store for her. Peter's now facing a meeting with Lambert face to face, and Lambert isn't going to do him a favour. We may be one Lambert down, with one of them being killed when Baldwin performs yet another escape attempt from Howard Prime's allies, who don't stand a chance against her - but they both seem to be up to date with each other and that can only spell bad news for Peter in particular. And by extent for Howard Prime, whose home life is punctuated by their increasing domestic tension. They cant quite trust each other. Emily Prime can remember bits and pieces about her Howard, but the Howard in the room with her is not her Howard. But she knows enough about him to know that there is something odd about this new one, and that is not helped by how patronising he can be. Claire still seems to be going about things quietly her own way, even if she doesn't find out about the identity of the other Lambert until it's too late, leaving Peter reeling like he's seen a ghost. She's still taking offence, interestingly enough, to being labelled as a traitor by Lambert, but before he is grabbed by Howard Prime's team, Lambert is in as much danger as Clare so hasn't gone running to Indigo just yet. On the subject of Indigo however, Mira's return to the forefront is no doubt going to be a gamechanger, as we learn that she is scouting out Echo Prison, presumably for a break in. Howard may find that he's about to step out of the frying pan and into the fire.